Popovers in the morning have become somewhat of a cherished tradition at the Cape house, and we don’t usually wait for the weather “to turn” before bringing the oven up 450 degrees F. to preheat the tins so that we can munch on warm popovers while still in our wet suits after an early morning swim. 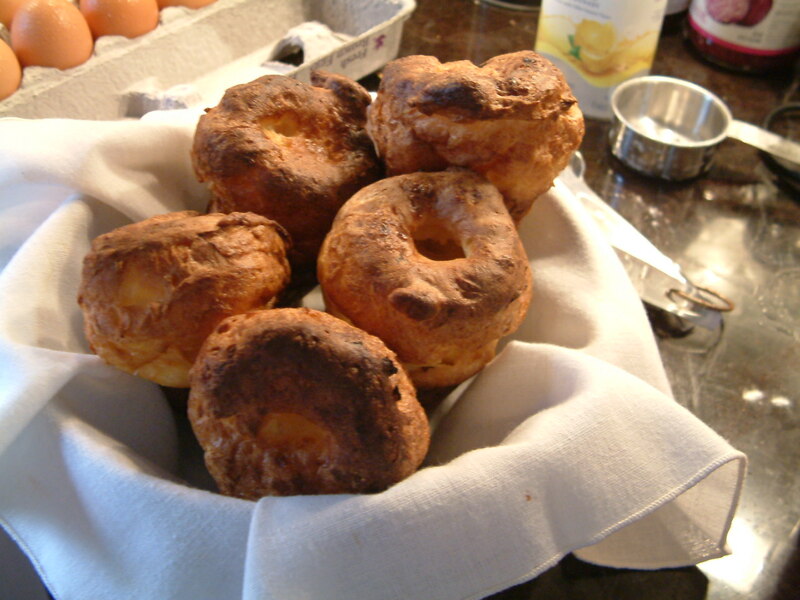 It turns out, the popover-any-day tradition extends to the far reaches of New England. 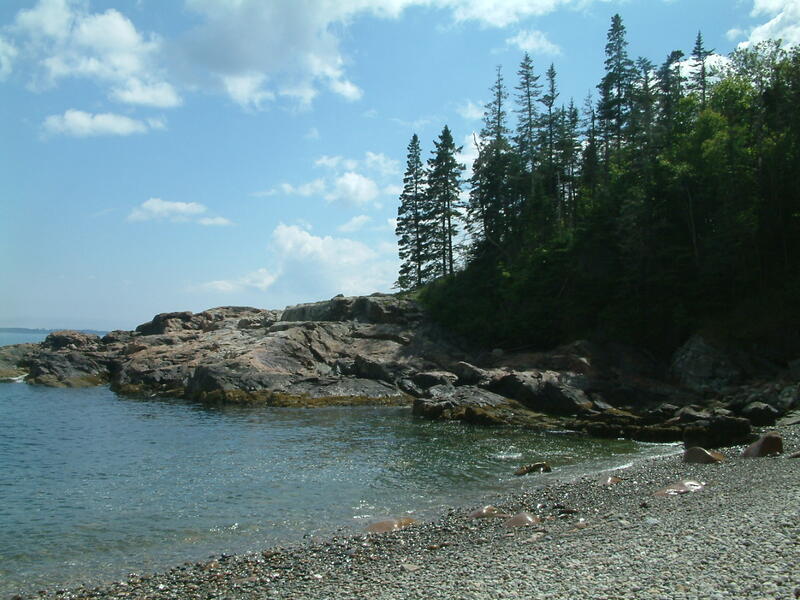 When Thomas was here in July we traveled to Acadia, Maine. It was our first visit to this gorgeous state park established by President Woodrow Wilson. John D. Rockefeller enhanced it further as a bucolic playground by constructing an elaborate network of carriage trails that are now primarily bike paths. Little square tables, with their sturdy chairs all facing away from the restaurant toward the lake, and each with their own green canvas umbrellas, were filled with people enjoying popovers. The servers, who constantly carry trays full of baskets piled high with popovers, have their delivery down to a science. They serve you only one at a time, so you can “enjoy it while it’s warm.” When you are ready for your next one they swoop by and drop a fresh, hot popover on your plate with a pair of long silver tongs, barely breaking their stride before heading on to the next table. Yes, of course! And I was having a wonderful time! During one of our “more real” adventure days, and after climbing uphill on bikes for nearly 5 miles, Thomas and I came to rest by a small lake. Suddenly, Thomas begins describing to me how to make pine needle tea on the trail. Forget servers with long metal tongs, this is real adventure stuff! Refreshment straight from the ground! Sensing I was on the trail of a new recipe, I asked him to describe how to make it for me…. So the moral of the story is if you want to have a “girl adventure” and a “real adventure” all at once, I recommend finding yourself a nice cozy cabin in the late summer woods with a pine tree outside. This way, you can turn on the oven, scoop up some pine needles, and steep yourself a nice cup of rustic tea while the popovers rise. This is the recipe we use, and it’s perfect since the editors at Cook’s Illustrated have worked out all the kinks. As for pine needle tea, you are on your own. Good luck. This batter can be made ahead and refrigerated for up to four days, just be sure to bring it back to room temperature and stir well before pouring into a hot pan. Adjust rack to low position and preheat oven to 450 degrees F. Place empty muffin or popover tin in oven to heat while making batter. Whisk flour salt together in medium bowl. 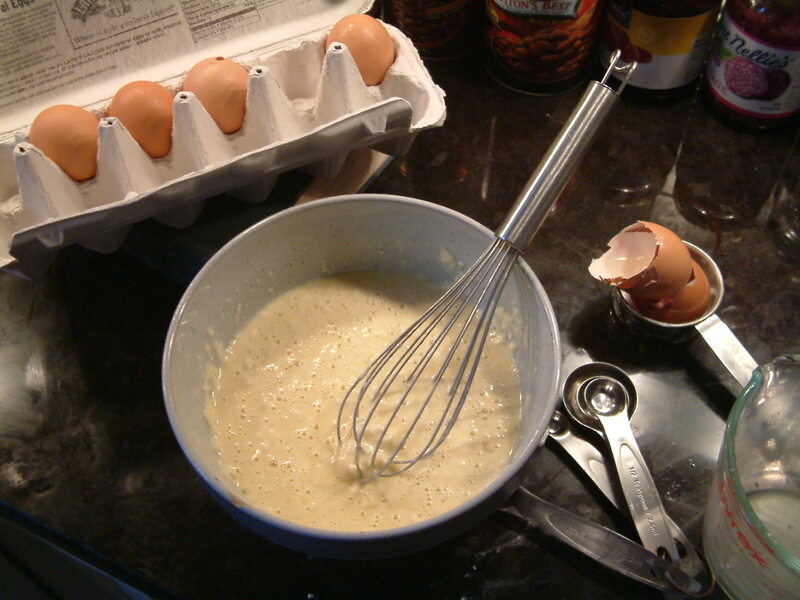 In a 2-cup Pryex measuring cup, lightly whisk together milk, eggs, and butter. Pour wet ingredients into dry ingredients all at once; whisk until just blended. Pour batter into measuring cup for easy pouring. Remove hot pan from oven; lightly grease of each cup and pan rim. Fill each cup half-full with batter. Bake without opening oven door for 20 minutes. 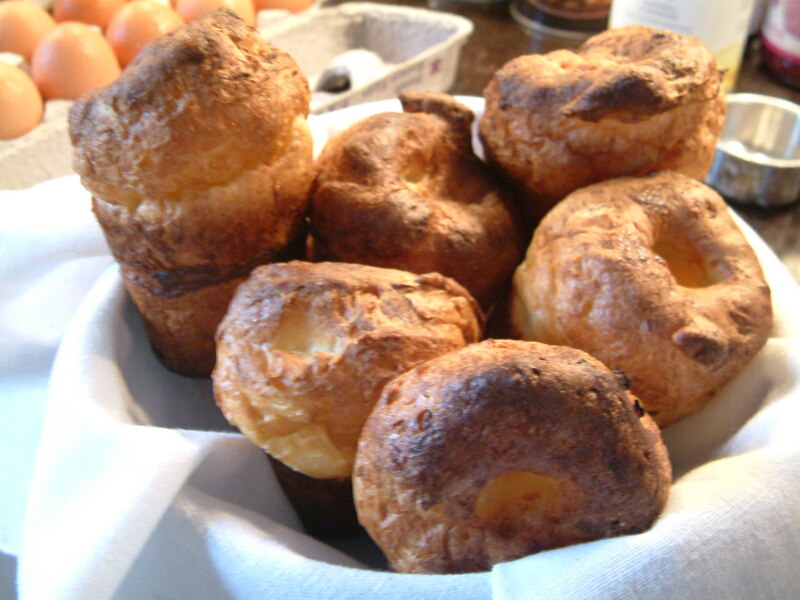 Lower heat to 350 degrees F., and continue to bake until popovers are rich brown in color, 15 to 20 minutes longer. Serve warm. If popovers are a girl adventure, sign me up! I love that this recipe can be made a few days in advance. Maybe I could make it for my book club some time. Great descriptions — Jordan Pond House was closed when we visited a few years ago, so now I feel as though I got to taste those popovers after all. Yum! The video for pine needle tea says “This video is private” … so maybe a written “how to/recipe” is in order? Your post is a good way to head back to fall schedules. Thanks! How fun! And your video was funny!